Not all the gold mining companies are the good guys. Occasionally you can find one that does not play fair and tries to ride roughshod over the community in which they operate. Such a company, it appears, is PacificRim. 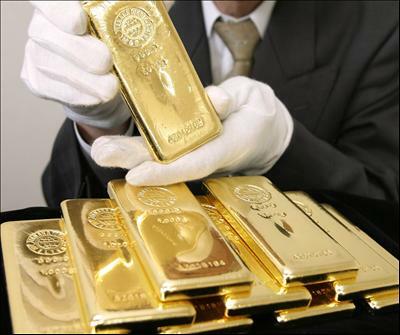 A wholly owned subsidiary of the Australian company OceanaGold, based in Melbourne, Australia. Pacific Rim became a wholly owned subsidiary of OceanaGold in 2013. The Pacific Rim Mining Corporation is a Vancouver, Canada-based multinational mining company that operates throughout the American continent. In 2002 it merged with Dayton Mining Corporation and its President and Chief Executive Officer, one Thomas Shrake, is a United States citizen and a resident of Nevada. Pacific Rim's principal corporate offices are in Reno, Nevada. Pacific Rim Mining Corporation describes itself as "a gold exploration company with projects in El Salvador and Nevada, USA. The Company focuses its exploration efforts on epithermal gold deposits in the Americas because of their typically high gold and silver grades, low environmental risk and propensity to occur in veins that can be mined underground. Environmental stewardship and social responsibility are core values announced by the Company." Despite this, PacificRim is insisting they should be able to operate a dirty mine in El Salvador. Even though the El Salvador Government has denied OceanicGold a mining license for its El Dorado mine, because it failed to comply with national regulations protecting human rights and the environment. However, instead of conceding to this decision, OceanicGold is now relying on dangerous "Investor State Arbitration" -- rules created under international trade treaties that allow foreign corporations to sue national governments for billions just to get their way. The mine is dirty in that it destroys the water supply in the region and the local community. Already, the mining industry has devastated El Salvador. The community of San Sebastian is being forced to buy bottled water after Pacific Rim contaminated its water supply. Community activists have risked their lives opposing mining companies, including Dora Alicia Recinos Soto, who was shot dead in front of her house while 8 months pregnant and carrying her 2-year-old baby. OceanaGold Community Policy states, "We aim to create an environment of respect and trust and to support the development of community health, education..." and, "avoid behaviors and activities that could negatively impact on the community and individuals within the communities they are operating in ..."
It seems this policy is in name only and the parent OceanaGold does not take any responsibility for its subsidiary. Not the level of governance I expect from a well-established Australian Gold Mining Company. It should be noted that over 300 civil society organizations with millions of members are supporting El Salvador in its legal battle with Canadian mining company Pacific Rim at the World Bank. Labor, environmental and grassroots groups from Canada, the U.S. and El Salvador submitted a letter to World Bank President Jim Yong Kim earlier this year demanding a review of the lawsuit against El Salvador. This is an area where the directors of OceanaGold might consider where their environmental interest truly lie.